Here you will find the answers to frequently posed questions. 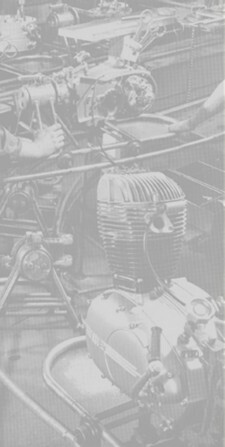 As motor oil any commercial multi-grade oil (SAE 20 W 50) may be used. Instead of oil-grease mixtures for the transmission (Konsul, OSL), a transmission oil SAE 140 should be used. If bikes with a built-in ignition coil (Max, Lux) have a complete ignition failure, then a new coil must be installed. We have new ignition coils available for many motorcycles. If it is no longer possible to throttle the idling speed enough, the problem is often a worn-out throttle slide. New throttle slides are available for many carburetors (AMAL, GRAETZIN and BING). 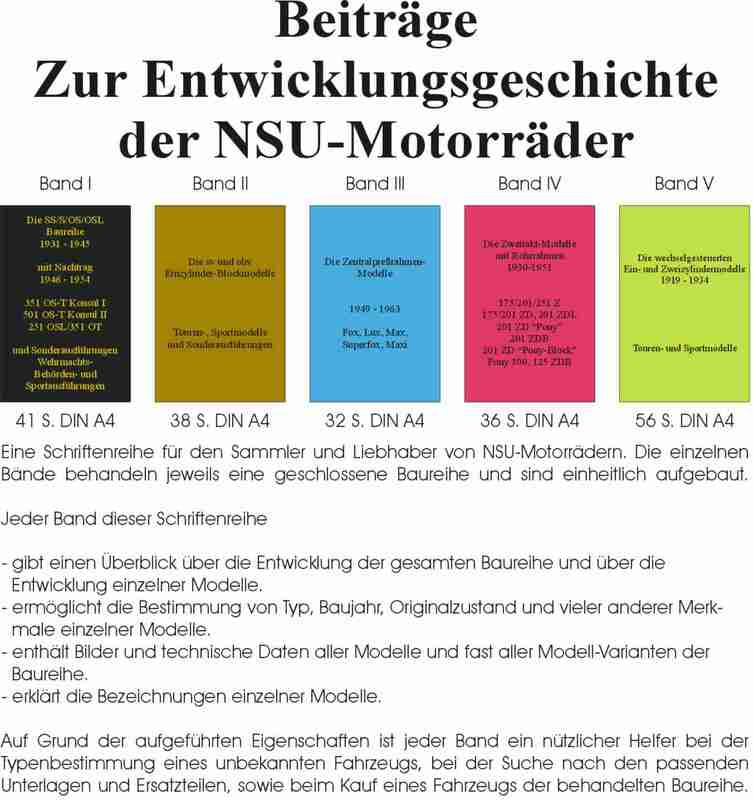 can be found in Beitraege zur Entwicklungsgeschichte der NSU-Motorraeder – "Contributions on the History of the Development of NSU Motorcycles," by Dipl. Ing. Peter Schoenhaar.